The UK’s leading manufacturer of garage doors, Garador, has just announced Paul Eddleston as their Marketing Manager. Paul joined Garador in 2012 as a Marketing Coordinator and has worked hard to modernise Garador’s approach to marketing with a successful digital marketing strategy and improvements in other areas across the board. 1 IN 2 women have fibbed about a home interiors purchase they have made, according to new research. A survey of 1,017 UK adults carried out by interiors etailer, Furniture123.co.uk, found UK women are most likely to lie about the cost of new interior purchases, with a massive 54% confessing to having done this. Almost three quarters (72%) of flat tenants would ignore the guidance to ‘stay put’ if there was a fire in their building and their particular flat was not affected by fire or smoke, according to new research released today to launch Fire Door Safety Week (24-30th September 2018). 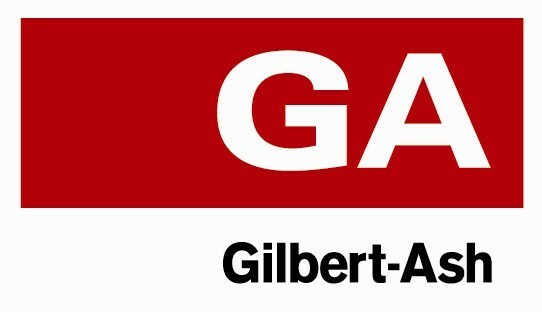 Gilbert-Ash today announced its financial results for the year ended 31 December 2017. The results confirm a 50% increase in pre-tax profits to reach over £2m, up from £1.4m in 2016. Additionally, the contractor reported an overall turnover of £165.5m, an increase from £148m in the previous year. Designworks launch new glow-in-the-dark mosaics. Designworks, a supplier of high-end tiles for commercial use, is proud to introduce a brand new, exciting collection of glow-in-the-dark mosaics. Our Fosfo tiles will inject light into a variety of spaces, be it an indoor or outdoor swimming pool, SPA or even a domestic bathroom for those looking to add a little magic into their homes. The luminescent pigments within the tiles are charged by exposure to either natural or artificial light during the day to create its stunning visual by night. The new DrainMinor from specialist water, wastewater and sewage pumping system suppliers, Pump Technology Ltd., features some very useful developments. It is a self-contained, fully automatic, wastewater pumping system, suitable for domestic and commercial installations where gravity drainage is not possible. It is extremely compact – 380mm L x 290mm W x 322mm H – and will pump wastewater from locations such as sinks, wash basins, domestic dishwashers and washing machines. Independent merchants have joined the vital search for missing children across the UK as part of a partnership between The IPG and Missing People. The IPG are a membership group for plumbing, heating and bathroom specialists. Through their network of local, independent businesses they have a presence in over 200 locations across the country so are well-placed to support with Missing People’s ongoing battle locating missing children. The Leaders Romans Group (LRG) announces its sixth business acquisition this year, as it completes on the Worthing and Bognor Regis lettings portfolios of South Coast-based agency, Glyn-Jones and Company. Both lettings portfolios will now be managed by the Leaders offices in Worthing and Bognor Regis with all Glyn-Jones lettings staff transferring to the respective Leaders offices, continuing to serve their landlords and tenants. Owned by Ben Glyn-Jones, the remaining Glyn-Jones business will continue to operate lettings in Rustington and Littlehampton and a sales services across the whole business. Panasonic has announced that it will be exhibiting at Chillventa in Nuremberg, Germany on 16-18th October 2018. Panasonic will be in Hall 4, booth 311 with an array of new and innovative heating, cooling and refrigeration solutions. This year, Panasonic continues to celebrate its 100-year company anniversary and 60 years since the launch of its first air-conditioning product. Highlighting the expertise and high regard for environmental awareness that has brought Panasonic to this point, it will preview a range of innovative and sustainable solutions for the residential and commercial HVAC markets. Sliding and folding door manufacturer – P C Henderson – is pleased to launch a new Rustic 80 Soft Close system to further enhance the sophistication of its popular selling Rustic 80 barn door hardware. The Rustic Soft Close is a high quality accessory which catches the door in its final moments of travel (80mm) and gently pulls the door into its final position, preventing slamming and adding to the overall longevity of the core product. Wrightstyle is shortly to supply advanced glazing systems to a £7.5 million state-of-the-art care home being built by Deeley Construction. Wrightstyle will be installing fire-rated screens and doors at the Woodside Care Village, an inspirational new care home in Warwick which will provide care for 72 older people and people living with a dementia, due to open in 2019. The new home is being built for Warwickshire-based charity WCS Care, and has been designed by local architects Robothams. Slough Borough Council is investing more than £62million in regenerating leisure facilities across the borough with a view to getting more people, more active, more often. As part of this major programme, the refurbishment of Slough Ice Arena was undertaken by Slough Urban Renewal (SUR), a partnership between Slough Borough Council and Morgan Sindall Investments Ltd, which is driving regeneration across the town including leisure, housing, community and school buildings. Morgan Sindall Plc carried out the main construction of the project. The Ice Arena has undergone substantial re-modelling with Morgan Sindall . The brand new extended ice facility and new climbing centre designed by leading architect practice GT3 was revealed in April 2018, and has since welcomed over 42,000 visitors; both residents of, and visitors to the borough alike. LEDVANCE, one of the global leaders in general lighting for professional users and end consumers, has played an instrumental part in helping Carlsberg’s logistics center reduce energy consumption by light by 50 percent – resulting in savings of 650,000 kWh and 400 tons of CO2 emissions per year. At Carlsberg’s Logistic Center in the town of Høje Tåstrup in Denmark, the 180 employees work hard to get the daily shipment of 2,500 pallets of beer and other beverages off to stores, bars, and restaurants in a safe and timely manner. There are many safety measures throughout the logistics centre that aim to protect employees from accidents. Walking and driving zones are clearly marked, warning tape to mark the potentially dangerous places, and video resources – all aim to educate, inform and integrate safety at the forefront of their operations and propel a ‘zero accidents’ ambition. C&C Catering Equipment Ltd is delighted to congratulate Mark “Roxy” Roxburgh on reaching an impressive 20 years working with the company, having joined the team back in 1998 at their Bumpers Lane premises in Chester. Since building racking at a project in the Sea Life Centre, Rhyl, on his first day, Mark has gone from strength to strength and continues to make progress in his roles, having recently been appointed as Project Director. His dedication to C&C and the wider industry has seen Mark excel in his positions, having previously held Project Manager, Senior Project Manager, and Installations Director titles with the company. Remodelling your kitchen is a major undertaking and often one that homeowners spend the most money on. 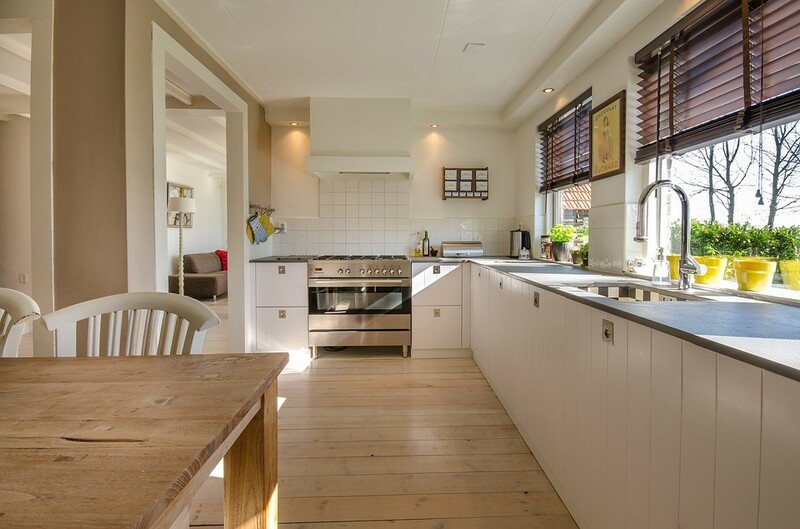 Fortunately, kitchen renovations can provide anywhere between 60-100% ROI, dramatically increase your home’s desirability for buyers, and increase your own convenience. Of course, this is the case when it’s done well. However, kitchen renovations are anything but simple. Indoor changes are often more difficult than outdoor ones, where something as simple as trimming your lawn with an electric lawn mower can make a major difference. Kitchen renovations require almost as much time to plan as they do to turn into reality. That’s why it is recommended you take the time to figure out exactly what you want, what works with the current kitchen configuration, and what doesn’t. Take additional consideration for the types of modern conveniences you feel are ‘must haves’.